When I first heard the term visionary fiction, what came to mind were such literary giants of the past as Dante, Milton, Goethe, Blake, and Whitman. Each of these authors bent toward the future, envisioning a human race struggling to evolve toward a higher spiritual plane. Two of my favorite twentieth century writers, Nikos Kazantzakis (Zorba the Greek, Saint Francis, The Last Temptation of Christ) and Hermann Hesse (Siddhartha, Narcissus and Goldmund, Steppenwolf, The Glass Bead Game) were firmly in this tradition. Their novels portray protagonists who are striving to reach a more enlightened state of being. Only recently have I discovered that visionary fiction is resurfacing as a “new” literary genre. In collaboration with fellow authors Shannon Sinclair, Jodine Turner, Saleena Karim, and Sandy Nathan, I’ve joined a Visionary Fiction Web Ring, and invite other novelists to become involved. So what exactly is visionary fiction? Visionary fiction overlaps with several better established genres, such as science fiction, fantasy, magical realism, and new age fiction. What seems to be unique about visionary fiction is its focus on the expansion and evolution of the human mind, imagining new frontiers for the human spirit. Although I didn’t set out to write visionary fiction, my forthcoming novel—Crashing Eden—seems to meet all of the relevant criteria. Still, the story ultimately defies categorization in that it can also be read as a tongue-in-cheek send-up of both organized religion and new age mysticism. Could ‘Visionary Fiction’ mean Spiritual fiction? Philosophical fiction? Any deep literary writing that is outside of established religions? Your upcoming novel has an intriguing title. It may come down to semantics, but I’m not sure that I agree. I think the focus in both spiritual and visionary fiction is on the spiritual development of the protagonist. Michael, your distinction makes sense to me. Perhaps it comes down to theme. What is the essential idea you want readers to take away from your book? Another question to ask may be, Does your plot support the theme, or does the theme support the plot? For something that falls more into the sci-fi/paranormal category, perhaps evolution will (or already has) develop the capacity of our brains such that we can do extraordinary things. If these new abilities support the hero in reaching their goal, then the theme supports the plot. If the reader puts down the book with a sense that they have learned something they can apply to their own lives, then plot supports theme. So theme supporting plot would be visionary, and plot supporting theme would be what–new age? spiritual? metaphysical? Does that make sense? Thanks for stopping by, PJ, and for sharing such interesting musings. I agree with you that “new age” now carries some unfortunate baggage as a label or genre that seems to put some people off. Perhaps “visionary fiction” could avoid such pitfalls? Your theme/plot distinction is intriguing. If we take a novel like The Celestine Prophecy, it seems pretty clear to me that James Redfield had a theme in mind and then constructed a plot to support it. Therefore, it can come across as preachy. Have you read “The Fourth Awakening” by Rod Pennington? 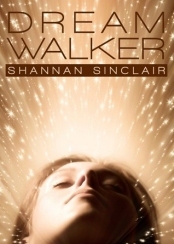 (http://fictionforanewage.com/2011/09/15/fourth-awakening-metaphysical-novel/) That’s an interesting blend of spiritual/visionary. On Amazon, it’s in the top 100 books in the Metaphysical category, along with everything from Coelho to “The Minstrel Boy,” which appears to be time travel/romance. What’s an author to do? How do you know where to place a book where it can be found? If anyone has read Pennington’s book, I’d like to know if you’d call it spiritual, visionary, new age, or what. Haven’t read it, PJ, but it sounds fascinating and has certainly received excellent reviews on Amazon. I’ll try to get to it soon. You’re right, though. From the description, it sounds difficult to categorize. Which is something I like in a book, CD, or film. PJ, (I answered regarding this on Goodreads, also) I find your idea of plot and theme interesting, too, PJ. And I must agree with Saleena. Visionary infers gems of wisdom, spiritual usually (not religious), embedded in a good story in a way that readers can experience the initiation and integration of that wisdom within themselves. In other words, gleaned from their reading. As the fabulous manuscript consultant Dara Marks explains(author of “Inside Story”, about the character transformation arc), the theme is the foundation of any good story telling. Without it everything falters and wobbles, including plot. Characters are more real, their journey more compelling when the author has a theme in mind from the beginning. Of course, developing theme is an organic process that continuously refines itself as one writes. But this bit of writing wisdom has helped me keep my writing clear and my plot from faltering. So, in my experience, a solid theme underpins good writing whether it’s visionary fiction or not. Hi Michael! Just thought I’d pop over and happened to see your post. In answer to Mirka’s question, and to add to your answer, I would say that visionary fiction as Michael Gurion defines it and spiritual fiction may differ, but only slightly. As I implied in my own recent post on the subject (at Jodine’s blog), visionary fiction is kind of an updated version of spiritual fiction and that’s what sets it apart. Spiritual fiction has been around a lot longer and takes from ancient religious ideas. Visionary fiction seems to be exploring the ‘spiritual’ questions in light of modern knowledge. For that reason it’s more likely to use words like ‘self’ and ‘mind’ than ‘soul’ and ‘spirit’. Does that make sense? Thanks for dropping by, Saleena. Interesting. So would you say that VF is also more likely to incorporate technological elements, as in science fiction? Short answer – yes. My own fiction is sci-fi and though it delves into the paranormal – psychics and reincarnation – these are both given ‘scientific’ explanations. I’m guessing the same might be true for your Crashing Eden? Yes, I do present scientific explanations, although some of them are thoroughly bogus. Btw – I meant Gurian, not Gurion. Sorry. I agree that Visionary Fiction is about the expansion of the mind especially with reference to our technological age. And, I think there is definitely a spiritual component to that. It wouldn’t be Visionary Fiction without it. But, it is different than New Age, (though there’s a crossover). For me, and especially in what I have written, it is about the evolution of human consciousness – mind, soul, heart, and body. The body containing divinity as much as spirit does (the God within physicality) is an ancient yet re-emerging phenomena in our awareness..and I believe one of the next steps in our evolution. So, in my perspective, the evolution of humankind is the stuff of Visionary Fiction. Jodine, I almost mentioned your fiction when sci-fi came up, because yours is of course fantasy. You kind of prove my point, when you use the word ‘evolution’ which is obviously a modern term. This a great post, Michael. I am constantly struggling to identify and review good novels at http://FictionForANewAge.com. Visionary? Spiritual (but not religious)? Metaphysical? New Age? Inspirational? This is my opinion only, but I can’t settle on the “right” category. I have purchased a number of “visionary” novels, only to find out that they are more science fiction and fantasy. “spiritual” has religious overtones. “Metaphysical” seems to esoteric and confusing. “New age”? Too hippy-dippy. I don’t prefer the label “new age,” and each week my opinion changes on what we should actually call our work. I hoped that the name of my site, “Fiction For A New Age,” would better express the kind of spiritually agonostic/visionary/metaphysical work we’re trying to promote, but that doesn’t translate very well into a tag. I wish the publishing industry would better define the plethora of categories and tags that are currently being used! It would immediately boost sales if readers could trust that they were purchasing the novel that they truly want to read. Question for all authors and readers: What genre do you look for online and in stores? What category has been most useful in helping you find the novels you’re looking for? PJ, In looking for fiction with visionary themes I have sometimes looked for ‘philosophical’ or ‘metaphysical’. I often avoid ‘spiritual’ because this is mre likely to bring up distinctly religious fiction. But really, it’s very hard to find what I’m looking for. At least by adopting a new word, there is a chance that the right kind of fiction will end up in being brought together in one place, even if they vary in other ways, i.e. fantasy, or sci-fi, etc. In fact, the variety is the reason why visionary is treated as a sub-genre (of speculative), rather than a distinct genre. PJ, In answering your question of where I search for books to read, I look for metaphysical fiction (to avoid religious), but even that can be tricky. I, too, do not wish my novels to be classified as New Age (even though one of them won a finalist USA Books award under that category, so I won’t knock it!). Sometimes Speculative fiction works for me. Often, I search under fantasy. It’s easier to search for visionary fiction and find it online I think. The visionary fiction aspect expresses in so many diverse genres such as fantasy or sci-fi or thriller as you mentioned, Saleena. I would like to see V.F. as the umbrella category and the genres of fantasy, sci-fi, etc. placed under it. By the way, you are all welcome to submit your novels for review at http://FictionForANewAge.com. My goal is to find and promote great stories that both entertain and inspire, whether you call them visionary, spiritual, new age, or whatever. Check out the submission guidelines on the site if you’re interested, or shoot me a note at pjswanwick at gmail dot com. Thanks for extending your kind offer, PJ. As you know, I’ll be getting a copy to you ASAP.